Can I keep my car if I am financing it at the time I file for Bankruptcy in New Jersey? Who should I bank with if I have debt or I am thinking about filing bankruptcy in New Jersey? Who is the typical Bergen County New Jersey Bankruptcy client? Should you filed for bankruptcy in New Jersy if you are not working and have no assets? Decisions, Decisions. One of the questions I get a lot is whether someone should file bankruptcy if they have little to no income and no assets. The easy legal answer is usually no because they are effectively judgment prove. That is the creditors can sue them but will likely not recover unless the debtor’s financial circumstances change for the better. However, there is a practical perspective that I always provide someone so that they know all of their options. With the option discussed above the problem is that the creditors will continue to sue and call the debtor constantly. However, practically speaking, sometimes mentally and physically it makes since to file bankruptcy so that the debtor can relax and get relief from the constant ringing of the telephone, etc. I have filed several bankruptcy cases for clients because mentally and physically the results of not filing bankruptcy could have been devastating. Filing bankruptcy is a very personal decision and each person has to decide whether the benefits of filing bankruptcy outweigh all reasons not to file a bankruptcy. Speaking to an attorney will help you in making the right decision for you. If I just recently lost my job in New Jersey and and can no longer afford My Chapter 13, can I switch to a Chapter 7 bankruptcy? 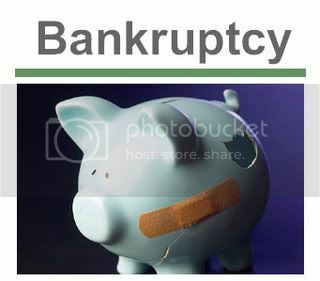 It is possible to switch from a Chapter 13 bankruptcy to a Chapter 7 bankruptcy. Switching from one chapter to another is called converting. You can convert your case from a Chapter 13 to a Chapter 7 so long as you are eligible for a discharge. The discharge is what you receive from the court at the end of your bankruptcy case. You should discuss with your attorney whether it is in your best interest to convert. It is also possible to convert a case from a Chapter 7 to a Chapter 13 bankruptcy case. In a rare case here in New Jersey, the Court made a Chapter 7 debtor convert his case from a Chapter 7 case to a Chapter 13 case because the debtor received a really high paying job shortly after filing his case. The Court ruled that debtor could then afford to pay something back. How many times can you legally file for personal bankruptcy in New Jersey or any state? The Bankruptcy Code is a federal law so it is applies in all states although each Bankruptcy Court may apply the law differently. You can file a Chapter 7 case every eight years. However, if you are in over your head after filing a Chapter 7 Bankruptcy, you can file a Chapter 13 Bankruptcy case and propose a payment (often small—although based on what you can afford). In New Jersey the Courts routinely allow the filing of the Chapter 13 four years after filing a Chapter 7; however, an argument is occasionally made that the debtor (the person filing for bankruptcy) is filing a “disguised Chapter 7”. Many people who are under employed file repeatedly because they simply do not make enough money to live. For example, many people need to refile because they do not have health insurance and have medical bills. I have not personally heard that argument from the Chapter 13 Trustee I appear before routinely but it does come up. You should speak to a bankruptcy attorney in your state to discuss refiling. If you are filing a Chapter 13 after having filed one previously an attorney will have to ask you a number of questions in order to determine whether you will be able to receive a discharge. There are often reasons for people to file a Chapter 13 even if they will not receive a discharge.